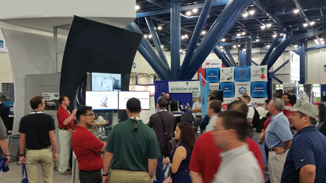 We're Proud to co-host HOUSTEX 2019! 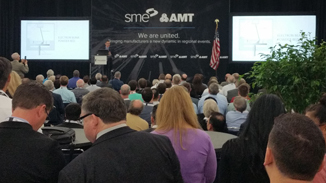 SME and AMT – The Association For Manufacturing Technology are collaborating to bring the manufacturing industry a new dynamic in regional events. SME and AMT have an extended history in strengthening the U.S. advanced manufacturing technology industry and its workforce. This partnership will take those efforts to a next level with face to face events keeping manufacturing ahead of the curve by providing a dynamic live platform that will drive collaboration and helping manufacturers succeed. Both attendees and exhibitors benefit from this exciting partnership as it broadens the opportunities to see and showcase new equipment, make buying decisions in person, accelerate the sales cycle, network and learn about new technologies as they are happening and so much more! Each day you'll be able to attend education sessions focused on what's trending in manufacturing. 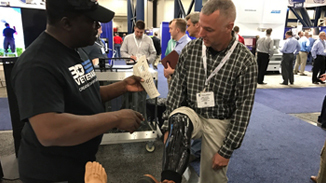 The HOUSTEX show floor has hundreds of exhibitors with even more new products, technologies, and demonstrations. You'll have the opportunity to connect with innovators in manufacturing and connect with the right people to make a big difference in your company and the world. 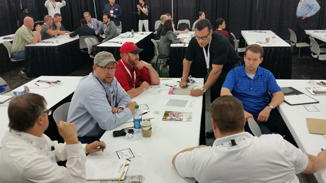 Attend small group sessions designed to provide the opportunity to ask specific questions.